At some point, you can get too much advice on how to succeed at the Olympics, or in any high-pressure moment. Two-time gold medalist in alpine skiing, Ted Ligety, thinks that it’s important for people to not think too much, and trust in yourself and abilities may be the best advice for athletes stepping on the big stage for the first time. Oksana Masters is a summer and winter Paralympian in nordic skiing, rowing and cycling, and felt the pressure early in her career. “Oh my gosh, everyone single person is watching, and it’s the biggest race, and if you mess up, it’s over.” But her advice to others would be to just treat the big race as just another training session. Holding the five-day Tokyo Paralympics from November 8 -12, was an amazing triumph for Japan. As previous posts have explained, Japan went from zero awareness about the rehabilitative power of sports on the disabled to hosting the first Paralympics in Asia in a matter of years. Even more amazingly, Japan organized not one, but two competitions for the disabled, one right after the other. The first competition was the Tokyo Paralympics, an international event. The second competition is less well known, a domestic competition that was more daring than the famous first competition, for it expanded the scope of competitions. According to Kazuo Ogoura, in his paper The “Legacy” of the 1964 Tokyo Paralympics, the British, led by Ludwig Guttmann of Stoke Mandeville Hospital, focused the competition of disabled athletes only on those who had spinal cord injuries, who got around via wheelchairs, but that “in the 1960s, there emerged a growing call for including those with vision impairment and amputees in such sporting events. The logo for the 1964 Tokyo Paralympics; note the use of the wheelchair wheel symbols, representing Stoke and Mandeville Hospital’s influence over the criteria for participation in the Paralympics. But as Ogoura explained, the officials at Stoke Mandeville, who were the patrons and coordinators at the international level, were not ready to make that shift beyond wheelchair athletes. During the preparation stage for the Tokyo Paralympics, Yutaka Nakamura, who was one of the event’s central figures, campaigned in response to requests from German officials to include athletes with vision impairment and amputees in the 1964 Tokyo Paralympics but failed to secure consent from Stoke Mandeville officials. The so-called “National Sports Meet” ran from November 13 – 14, 1964, and despite the fewer number of days, was larger than the highly publicized “International Sports Meet.” The international meet was three days longer than the domestic meet, but had fewer athletes (375 vs 480) and fewer sports (9 vs 34). As Frost described, this pioneering decision was both intimidating and inspiring. With more than 34 sporting events for men and women with a wide range of disabilities, the National Meet added a layer of complexity to the planning efforts that in later years would play a role in other potential host sites’ decisions to decline the Paralympics. The structure adopted for these Tokyo Games reflects the commitment to hosting a multi-disability event that was apparent in some of the earliest organisational efforts. Today, the Paralympics is indeed a multi-disability, multi-sport event which includes a highly complex mix of disabilities, with thousands of competitors coming from over 100 nations. The 1964 Tokyo Paralympics, both its international and domestic meets, played a significant role in the evolution and history of disabled sports. Dr. Ludwig Guttmann is the undisputed father of the Paralympic Games. But in the fascinating fantasy world of “What If” speculation, the Paralaympic Movement may have had a different, perhaps more delayed progression through time had Guttmann met a different fate in the increasingly scary build up to World War II in Germany. In 1938, Guttmann was the medical director of a Jewish Hospital in Breslau, which at the time was part of Germany. 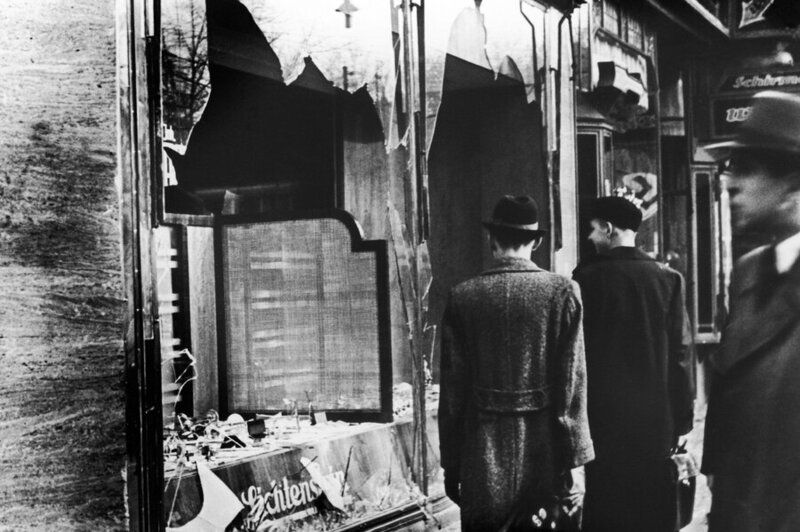 On November 9, German paramilitary and citizens walked unimpeded through cities across Germany smashing the glass windows of Jewish-owned stores, buildings and synagogues. Called Kristallnacht, this pogrom led to the death of dozens of Jews, and the arrest of tens of thousands of Jewish men. 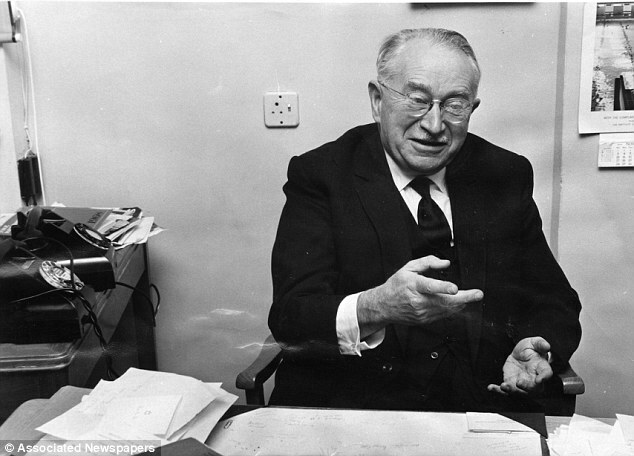 On that Night of Broken Glass, 64 Jewish men were admitted into Guttman’s hospital. While many were injured, some were not and were simply looking for refuge from the violent rampage. According to this interview of Guttmann’s daughter, Eva Loeffler, Guttmann admitted all to the hospital regardless of whether they were injured or not, at great personal risk. Of the 64, only four were carted away by the Gestapo, the remaining 60 allowed to escape incarceration or death for another day. Guttmann was Jewish, and thus could easily have been arrested, which would likely have led to death in a concentration camp. But he not only saved the lives of dozens, he saved himself. Despite the fact that he was Jewish, Guttmann was one of the foremost authorities in neuro medicine, and was thus still highly valued by the German government. In fact, in order to exercise influence with a potential ally in the Portuguese, the Nazi regime dispatched Guttmann to Portugal so that he could treat a close friend of the Portuguese prime minister, António de Oliveira Salazar. The German authorities then re-issued Guttmann’s passport (as all Jews had their passports confiscated), and then send him to Portugal. After finishing his work in Portugal, Guttmann made a significant trip to London, where he met members of the Society for the Protection of Science and Learning. This particular group at the time was devoted to obtaining visas for Jewish academics in Germany to come to England. In fact, according to Guttman’s daughter, Loeffler, the society had already sent a visa to the relevant Berlin authorities informing them that Guttmann has already been offered a research post at the Radcliffe Infirmary in Oxford. When Guttmann returned to Germany, he was presented with an opportunity that could secure his family’s long-term safety, or accelerate his family’s demise. It was 1939 and I was six years old. I remember I was abnormally frightened at the time; I used to cry a lot. Even as a small child I picked up the fear and sadness felt by my parents. Although Jews were allowed to take out some furniture, clothes and linen they were not allowed to take any money, gold silver or jewelry. But the official who was supervising us came round the day before and told my mother ‘I shall be an hour late tomorrow’. It was obviously a hint that we might pack what we wanted; but my mother was too frightened to take anything forbidden as she thought it could be a trap. Fortunately, it was not a trap. Five years later, Guttmann was asked to run the National Spinal Injuries Center at Stoke Mandeville Hospital in Buckinghamshire, England, which led to his revolutionary work on treatment of the disabled, and the eventual birth of the Paralympic Movement. But what if Guttmans’s pleas and gesticulations before the Gestapo in the aftermath of the Night of Broken Glass had ended in his incarceration? What if those 60 Jewish men were not allowed to live another day, to have a chance to survive the war and have families, grandchildren, and great grandchildren? What if Guttmann was not alive to emigrate to England, and join Stoke Mandeville Hospital? Would there be a Paralympic Games as we know it today? In 1917, at the age of 18, Ludwig Guttmann volunteered at a hospital and watched a young coal miner, who suffered a serious spinal injury and paralysis, wither away over a five-week period in isolation. Doctors could do nothing for him except encase him in plaster and watch him die. Six years later, Guttmann graduated from the University of Breslau in Poland in medicine, after which he took a position in Neurology and Neurosurgery, only because he could not find a placement in pediatrics, his first choice. That decision was to have impact ripples that resonate powerfully today. Guttmann fundamentally disagreed with the commonly held medical view on a paraplegic patient’s future and felt it essential to restore hope and self-belief in his patients as well as practical re-training so when they were well enough to leave they could once more contribute to society. He achieved this firstly by changing the way they were treated – he had them moved regularly to avoid the build up of pressure sores and the possibility of urinary tract infections developing – and secondly by engaging them in physical and skill-based activities. Sports like Archery improved their mental wellbeing while learning new skills, such as woodwork, clock and watch repair and typing, would ensure they would be employable. If staff, or patients, on Ward X thought they were going to have an easy time, they were in for a shock. Essentially if they went anywhere else for care, the spinal injuries patients died. He exerted a total, obsessive control over all aspects of care at the hospital, whether it was him coming round in the middle of the night to make sure that the nurses had turned patients, or checking on the quality of the cleaners’ work or that of the food served on the wards. Everything was his responsibility. This was such an enormous contrast with consultants in other hospitals. And thus was born the Paralympic Movement. If ever I did one good thing in my medical career it was to introduce sport into the treatment and rehabilitation programme of spinal cord sufferers and other severely disabled.